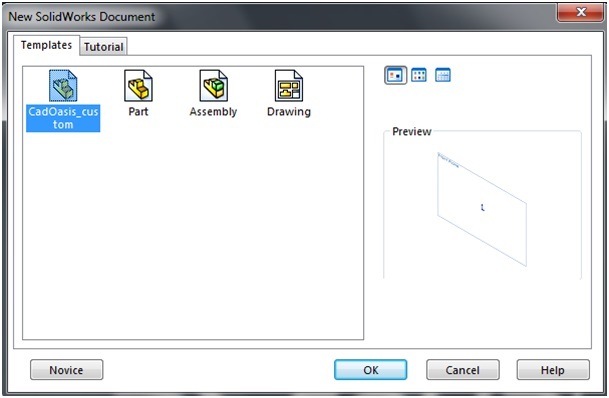 Home » How to Create Custom Template in SolidWorks? 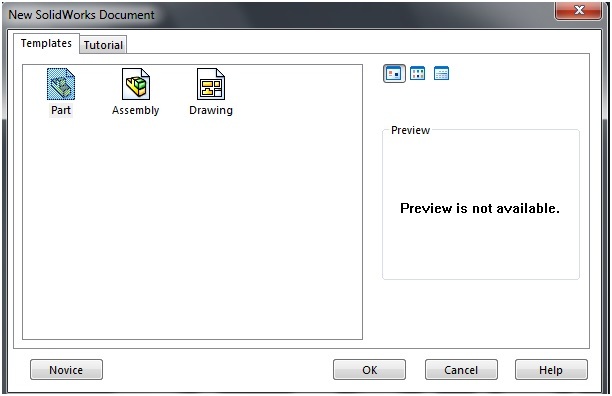 How to Create Custom Template in SolidWorks? Open SolidWorks and Click on ‘New’ command. Click on ‘Advanced’ button on above db. This will open Templates and Tutorial Tabs. Our Custom Template will be added here. 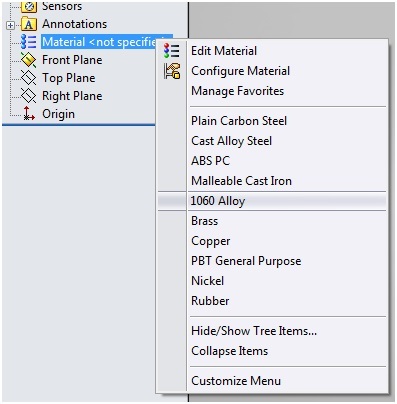 Select Part Template and Click Ok.
Set units for Custom Template. For This Click on ‘Options’ tab on Standard Toolbar. 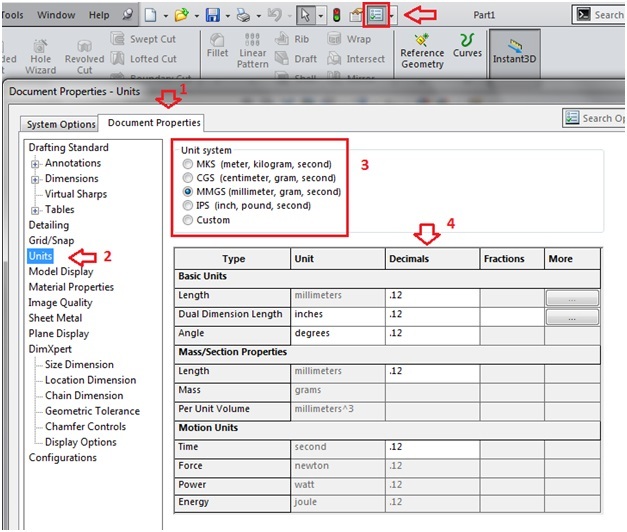 Click on ‘Document Properties’ > Units > Unit System. Here you can change Unit System. Also you can change Precision decimals and Custom Units in section 4 above. Click OK on Options db now! 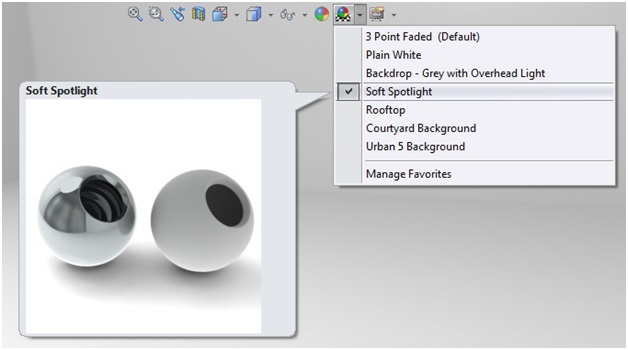 Change Background of SolidWorks window from View Palette. Open ‘Apply Scene’ drop down list Select Background you want to apply. I will select ‘Soft Spotlight’ here. 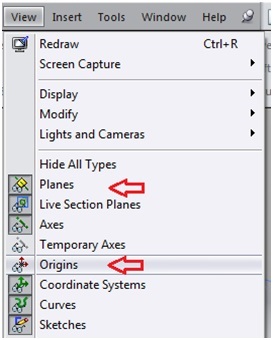 We can change plane Show and Hide Planes or Origin. 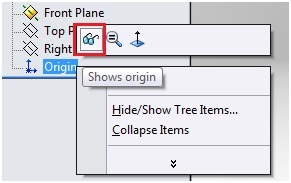 Just Right Click on Plane or Origin and Click on Show icon. We can also Define Material in Template by Right Clicking on ‘Material’ inside Feature Manager Tree. Here, I will select ‘1060 Alloy’ from the list. Or You Can Click on ‘Edit Material’ option and choose any material. 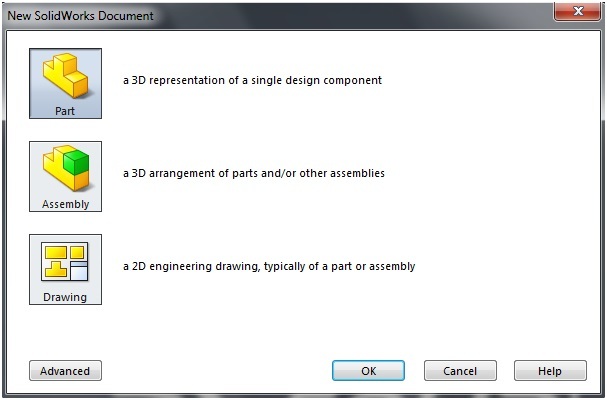 So, now we have Changed Units, Background, Show Planes and Origin, Material inside this part file. It’s time to save this file as Template file so that we can use it next time. Now close this part file. Select this Template name and Click OK. This will open Template file with all out predefined changes in it.